For those looking to reproduce and preserve various forms of fine art and photography, the process of fine art printing is one of the top options available. Used to recreate some of the finest art around the world, this format is one of our specialties at MasterLab, and one we offer to all our clients in greater Salt Lake City and surrounding areas. If you desire gallery-quality recreations of some of your favorite art, you’ve come to the right place. Not only can our technology help you create a wonderful product, it’s one that will last for decades and preserve your most valued artwork for far longer than any alternative method. Known as giclée printing, our primary fine art printing format is derived from a French term that means “squirting ink.” It’s a process that involves you choosing your piece or pieces to be printed, either from our large digital file of artwork or from a separate file you provided. Prints are then created using high-quality Epson printers and HDR inks, which are available in a wide range of colors and styles. Compared to similar technologies for reproducing fine art, giclée printing stands alone in terms of things like quality, clarity and, perhaps most importantly, longevity. So long as they’re kept in proper lighting and temperatures, our prints will last for up to 150 years in most cases without a single bit of fading or degradation. Better yet, the versatility of giclée printing is one of its top qualities. Almost any kind of flat art can be recreated using this technology, from oil and watercolor options all the way to pencil, ink or charcoal drawings and even specific photographs or vintage print options. There’s virtually no type of art that can’t be included in the process. And on top of this, your choices for printing material are extremely wide as well. 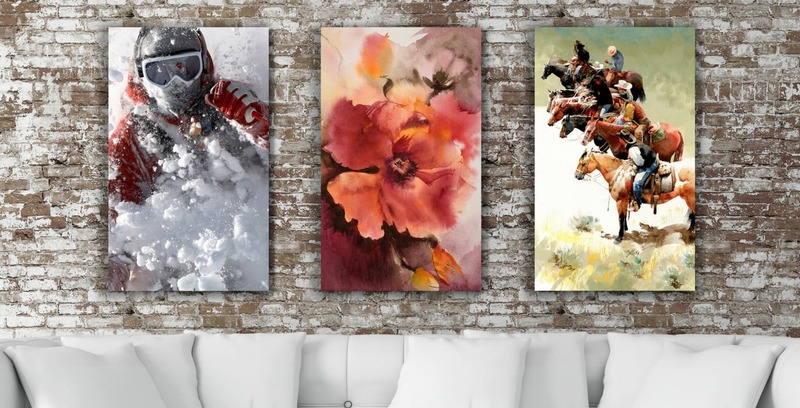 Canvas prints are some of the most popular, allowing for placement in various kinds of displays with a couple different kinds of finishes (satin or matte primarily). You can also choose to print on watercolor and art paper varieties, or even on matte (glossy) or pearl paper at your discretion. When you work with the pros at MasterLab, you all of the above options provided to you by experienced professionals in the field. Whether you’re printing a single copy of your image or 500, whether keeping the original image size or scaling up or down, we’ll handle your project with the same high degree of care and quality. Our services provide high-value products that preserve artwork for far longer than comparable options. To learn more about our giclée fine art printing services in Salt Lake City and nearby areas, speak to the pros at MasterLab today.